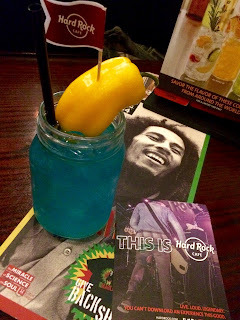 World Burger Tour at Hard Rock Cafe! - San Diego Dining Dish! 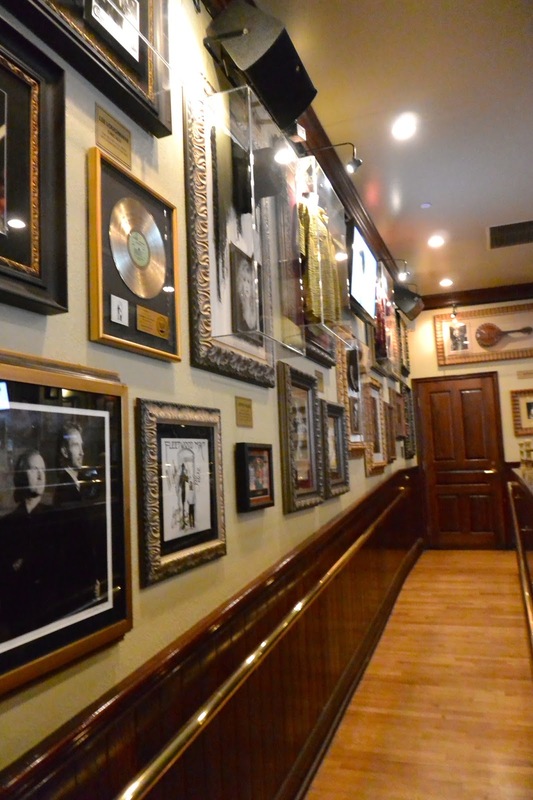 World Burger Tour at Hard Rock Cafe! This month, Hard Rock Cafe San Diego will feature eight international Local Legendary™ Burgers, which capture the flavors and spirit of iconic cities like London, Buenos Aires, Mumbai, and more. Burgers will be paired perfectly with cocktails created specifically for the World Burger Tour menu. 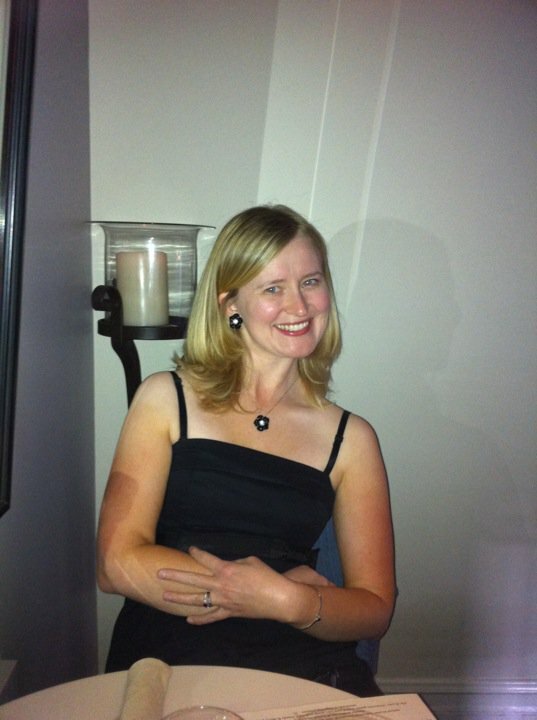 To get the scoop on what this was all about, we visited the nearest location in the Gaslamp! I don't need to tell anyone that just going into Hard Rock is a blast! The music memorabilia covering almost every inch is such a delight to view. The visuals and music really combine to make a visit an experience. 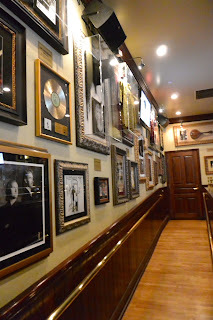 I've been to a Hard Rock in a few different cities, and it's interesting because with all of their items being one of a kind items from a specific musician or band, none of the restaurants look alike! It's always new and welcoming. On to the Burger Tour! There are a few to choose from, and all of them sound good, so it was a bit hard to decide which to try. The staff recommendation was the Java Lava Burger, inspired by Seattle. Rubbed with espresso (!) and topped with bacon, cheddar, and a spicy "lava" sauce, this was a great burger! Like all of their burgers, it was flavorful and cooked to perfection. It comes with seasoned fries, but we opted to upgrade to the parmesan fries, which was a good move, as they were delicious and cheesy! I chose the Tandoori Chicken Burger, made, obviously, with ground chicken, tandoori seasoning, cucumber slices, and mint mayonnaise. I really love Indian food, so I thought that this cute combination of Indian flavors in a decidedly American way was very good and innovative. With the burger, I chose to get fries seasoned with garlic and herbs, which were delightful! I'm such a sucker for fries seasoned with anything besides salt and pepper, so the upgraded fries were a win in my book. There are a few other flavors being offered at the San Diego location: the Jamaican Jerk Burger, with a jerk seasoned patty and jalapeño cream cheese; the monster of a English Breakfast burger, with sausage patty and egg; along with the usual offerings of tasty burgers at Hard Rock! The new burgers are accompanied by a specialty cocktail menu featuring pairings for the burgers. We tried out the Sweet & Fiery, a combination of pepper vodka, blue curacao, ginger beer, and ginger liqueur. It was very good -- just a hint of spice, so even if you're not into spicy drinks, you'll like this cocktail. It's also very pretty, just look at the blue with the pepper garnish! Dessert was a gigantic (seriously, huge!!!!) chocolate cake ice cream sundae that was marked "to share." I had no idea that this thing would be so beastly! It was so delicious and just the thing to end the night. The World Burger Tour is only going through June, so try them out! You won't be disappointed!